On Wednesday, June 24, Urban Omnibus — an online journal dedicated to urban architecture, art, policy, and activism — will publish an article I’ve written on “library logistics.” Given the journal’s focus, my “Middlewhere: Landscapes of Library Logistics” attends primarily to place-based infrastructure — but we can’t consider the library’s built environment and its physical logistical systems apart from its digital resources. Our libraries are hybrid environments: code-spaces, algorithmic architectures. Their digital resources — both front- and back-of-house, both patron-facing and employee-oriented — are a critical part of the library’s infrastructure — one that, by allowing libraries to “outsource” many of their logistical operations and to rely on resources housed in the Cloud (despite the obvious risks inherent in such delegation of responsibility and resources), can free the physical library infrastructure to do what it does best: accommodate people and material things, and facilitate their movement and coming together. Because the published article merely alludes to this “virtual architecture,” I offer here a discussion of the many ways in which New York’s libraries are scaling firewalls and laboring to shape the digital landscape in such a way as to smooth the pathways from resource “discovery to delivery” – pathways that bridge the physical and the virtual, the on- and off-site, the local and the global. This post builds on information relayed, and arguments offered, in the Omnibus piece — so I recommend that you read it before reading this. Thanks! The creation of shared resources and logistical systems like BookOps and ReCAP (both of which I address in the published article) requires the syncing of technical protocols, consolidation of databases, and generation of middleware to aid in the translation between different operating systems and their often competing logics. But that field of translation, the realm of middleware, doesn’t always remain hidden in the “back-end” of libraries’ logistical systems. It’s not simply a staff concern. As more of our libraries’ physical collections move off-site or into compact storage, and as they’re re-organized in accordance with an efficiency-driven database logic – once that’s unintelligible to patrons – it’s through the library catalog and Internet searches that patrons discover this wealth of resources. 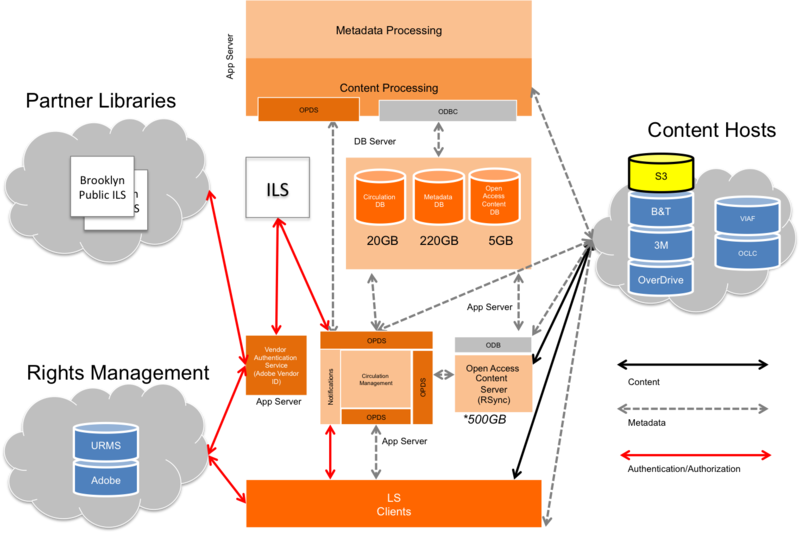 As those shared collections grow, as the universe of resources available for discovery expands, that discovery is increasingly mediated through a digital interface – one whose clear and compelling presentation of information is highly dependent on the intercommunication between myriad nested software platforms in the background. Thus, the politics of protocols and firewalls, or access policies and interoperability are more apparent, and relevant, to patrons, too. That’s why it’s important to recognize that the library’s logistical landscape is widely distributed across a global digital terrain – and that librarians, archivists, and their associates expend a great deal of labor in traversing digital and physical barriers to bring those resources to us in our libraries, in our homes, and on our phones. In a sense, librarians function as “middleware” themselves in their advocacy for open systems and logistical access. Rebecca Federman, the NYPL’s Electronic Services Coordinator, negotiates with the vendors of over 300 research databases that are available in the system’s research libraries. She estimates that hundreds are also accessible in the branch libraries. Some of these resources can be accessed remotely, via the library’s website; while others are firewalled and available only on-site in the libraries. Federman works with the database companies to determine how many access points the libraries are permitted to offer, and where they should be. [i] Meanwhile, Josh Hadro, Deputy Director of NYPL Labs, negotiates “digital content partnerships” with programs like Google Books and the HathiTrust, which is a large-scale, secure, collaborative digital repository (one focused, unlike Google, on preservation) of books digitized by Google, the Internet Archive, and other libraries. 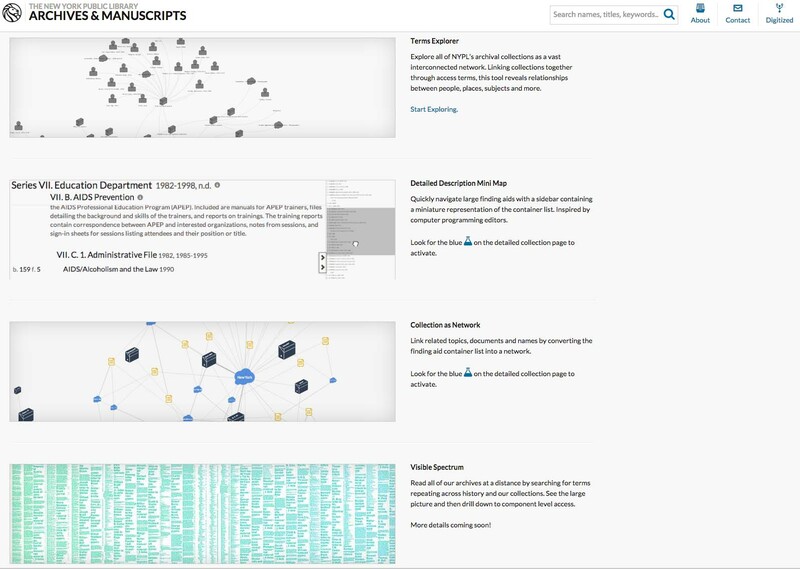 Hathi, in consolidating materials from multiple sources, has to translate between myriad digitizers’ metadata schemes. The NYPL has, since 2004, allowed Google to scan its public-domain material. 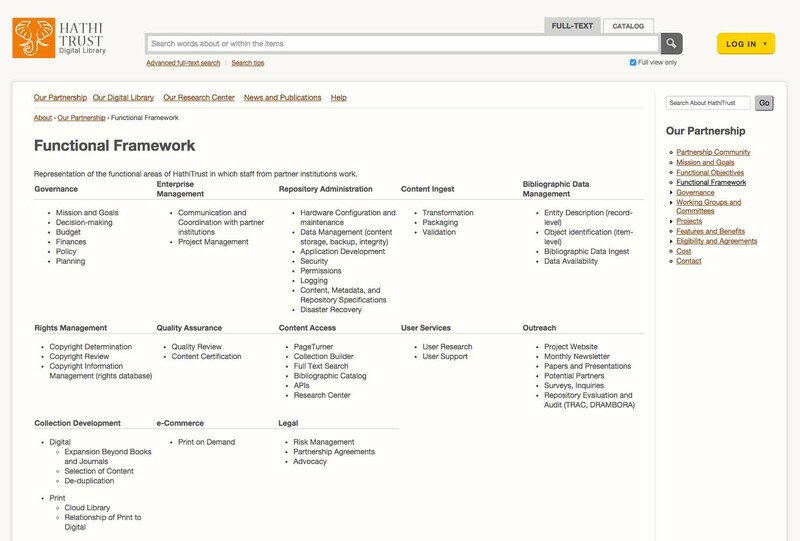 That material is then included within the HathiTrust catalog, and the NYPL’s own catalog now links to the Trust. 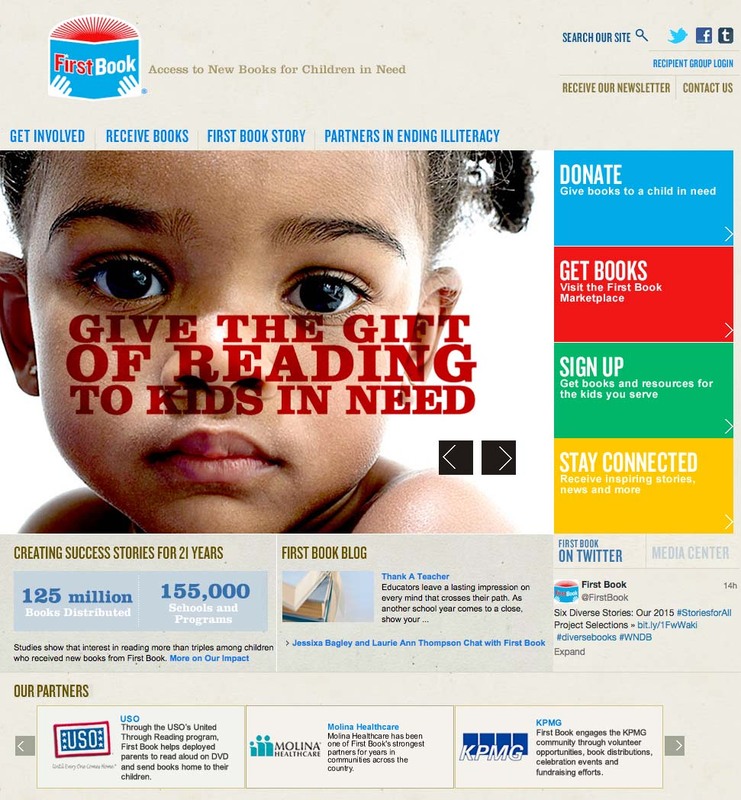 Through its cooperation with these initiatives, Hadro says, the NYPL’s contributions “serve not only a local constituency, but also ‘the Internet’ at large.”[ii] Similarly, the NYPL’s patrons, like all library patrons, benefit from digital repositories that draw on materials from the world at large. 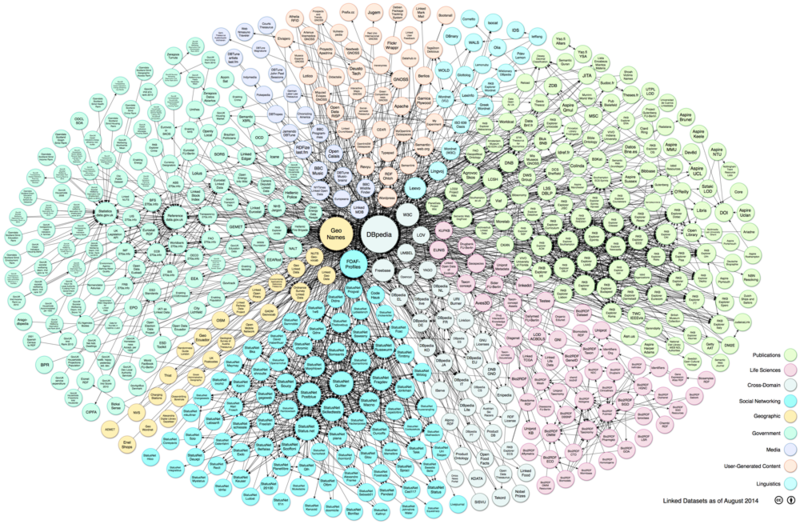 Facilitating this global, networked service is the library’s linked data initiative – a goal the NYPL shares with many public, private, and academic libraries. Shana Kimball, the NYPL Labs’ Manager of Public Programs and Outreach, explained that the initiative promises to “de-silo (e.g., make interoperable) our various catalogs” and to “integrate our collections into the broader net ecosystem to enhance discovery of and access to these resources.”[iii] This involves creating a “registry system that will give unique web identifiers (URIs) to every resource in [the library’s] collections.” The web addresses associated with these identifiers could then provide distinctive sets of information that are legible to either humans or computers: for humans, “bibliographic information, curator and staff annotations, crowd-sourced information, and links to connected related resources,” and on the “computer-readable page,” “machine-actionable” data that could be useful to developers, systems, and search engines. 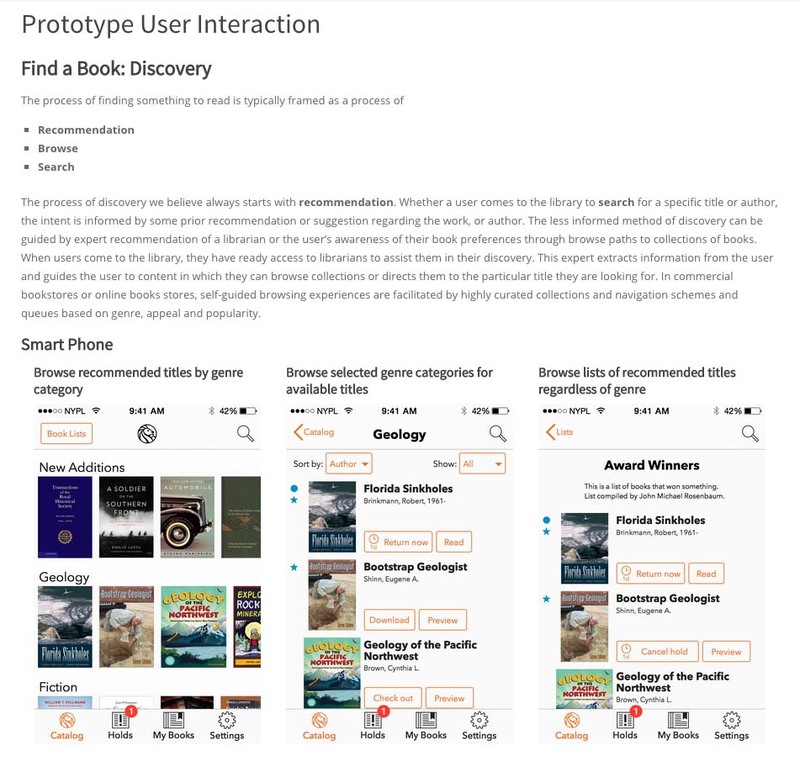 The project – which extends far beyond the NYPL – speaks to the value of translating across operating logics in order to distribute library resources as widely as possible, and to make them as interoperable as possible. May says they also want to bring those digital resources into more physical settings – providing e-resources to classes, offering more remote services, etc. 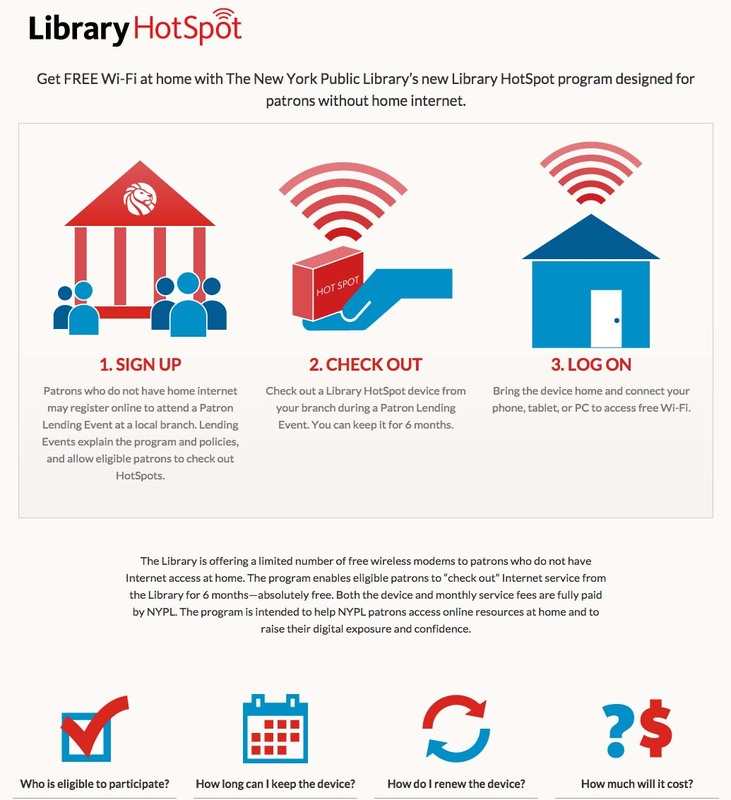 [vi] Sam Rubin, Chief of Staff at the New York Public Library, noted another Tri-Li (three-library) collaboration dedicated to providing access to the city’s disenfranchised and bringing library resources into off-the-grid areas: the HotSpot program loans free wireless modems to patrons without home internet access, thereby helping them navigate past their own logistical barriers. 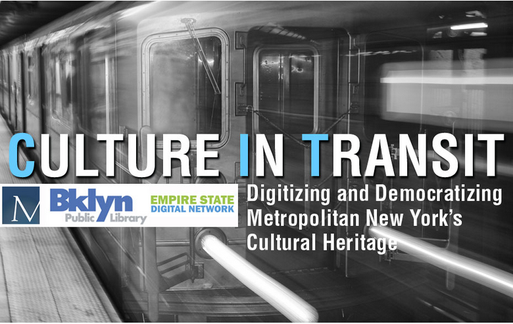 [vii] And through the Culture in Transit program, a Knight Foundation-funded partnership between the Metropolitan New York Library Council and the Queens and Brooklyn public libraries, a “Mobile Digitization Specialist” is available to help any interested cultural heritage institutions scan and generate metadata for items in their collections, and to then make those materials available through the Digital Public Library of America and its New York State hub. All of these initiatives, May suggested, illustrate the myriad ways that libraries “are trying to change the environment we’re in,” in part by cultivating a more just, inclusive, equitably distributed logistical landscape. Through projects like Readers First, “a movement to improve e-book access and services fro public library users,” and the development of other APIs that allow for access across various digital platforms, libraries are trying to force e-book vendors, who tend to “bundle” their offerings, to instead “open their architecture.” “Libraries wrestle with distributors and publishers for interoperability,” he says. In a sense, librarians function as “middleware” themselves in their advocacy for open systems and logistical access. [i] Rebecca Federman, phone conversation, May 21, 2015. Federman also noted digital negotiations among the members of the Manhattan Research Library Initiative (MaRLI), which offers NYPL cardholders the ability to borrow select research material (the research collections typically don’t circulate), and to access select materials from Columbia and NYU. The institutional members, Federman says, often discuss divisions of labor in acquiring materials: they often agree that, for some resources, all the member libraries will have access to digital content, while one institution will agree to purchase the print version. [ii] Josh Hadro, Deputy Director, NYPL Labs, phone conversation, May 21, 2015. [vi] Micah May, phone conversation, May 15, 2015. [vii] The city-wide Summer Reading program, Rubin acknowledged, is another Tri-Li programmatic collaboration that unites the three libraries in encouraging kids (and their families) to read for at least twenty minutes every day throughout the vacation months.